UPDATED: Wed., Aug. 8, 2018, 7:17 p.m.
RENTON, Washington – Preseason openers for Pete Carroll’s Seahawks have been mostly ho-hum, perfunctory exhibitions. The veteran starters already know the game-day routine, from wake-up through kickoff. They play a series or two, reaffirm why they’ve been starters all these years, then watch the younger, new guys compete for jobs the rest of the night. Fifteen of the 22 players expected to start Thursday’s first game of the 2018 preseason against Indianapolis at CenturyLink Field were not starters in their spots this time last year. Seven of those 15 new starters weren’t on the team 12 months ago. That was when the Seahawks were coming off five consecutive postseasons and had Richard Sherman, Kam Chancellor, Michael Bennett, Cliff Avril and Earl Thomas as mainstays. One, playoff-less season of injuries and discord then a tumultuous offseason and Thomas’ ongoing holdout have resulted in eight defenders expected to start against the Colts who last summer were not in their present spots: defensive ends Marcus Smith and Branden Jackson, tackle Tom Johnson, strongside linebacker Barkevious Mingo, rookie right cornerback Tre Flowers, left cornerback Shaquill Griffin, strong safety Bradley McDougald and free safety Tedric Thompson. It’s seven different starters on offense, which is installing a new, run-based system: left tackle Duane Brown, left guard Ethan Pocic, right guard D.J. Fluker, rookie tight end Will Dissly, fullback (assuming new coordinator Brian Schottenheimer begins the game in his characteristic I formation) Tre Madden, tailback Chris Carson and wide receiver Brandon Marshall. 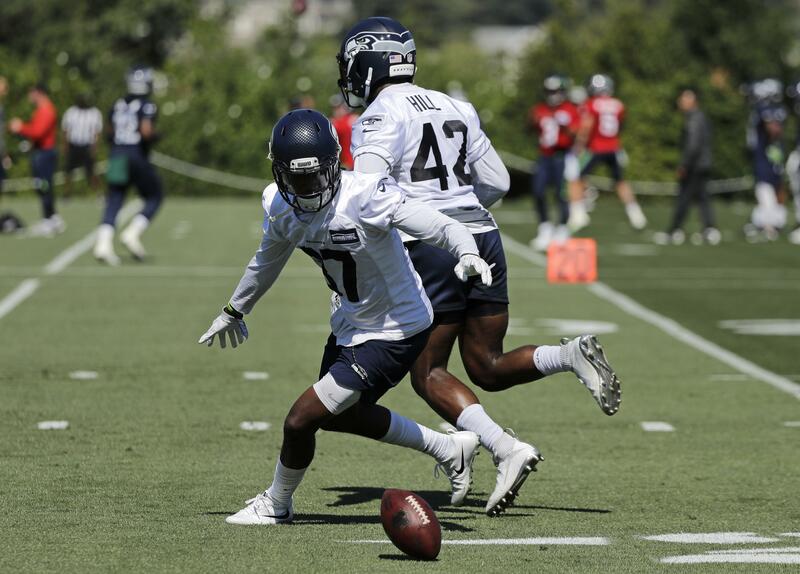 Heck, even Seattle’s kickers are new. Sebastian Janikowski, the 40-year-old the Seahawks signed this offseason after his 18 years with the Oakland Raiders, seems to have the early edge over former Jacksonville kicker Jason Myers in training camp. Both are likely to kick Thursday. Plus, rookie draft choice Michael Dickson is competing to win the punting job from 12-year veteran Jon Ryan. Yes, even the most fundamental aspects of this preseason opener will be new for most of this so-changed team. “Yeah, this is a big deal. This is a really big deal,” Carroll said – and this time it wasn’t just coach-speak. “We’re practicing a lot of stuff, and it’s not just the football stuff. It’s the preparation. It’s the setting. It’s getting comfortable with all of the mode and the buildup to the game and all that. The most intriguing of the new starters the Seahawks need to get comfortable and take advantage of the setting and their opportunities: Flowers and Thompson, against Colts quarterback Andrew Luck. At Carroll’s prototypical size for a cornerback, 6-feet-3 and 203 pounds, Flowers is Seattle’s future at the position. Flowers’ push to make that future the now includes seeking Marshall, the six-time Pro Bowl receiver, each day. Flowers is learning how to cover the uniquely sized and skilled star. Look for Flowers to seek matchups with Colts star wide receiver T.Y. Hilton in Thursday’s first quarter. Don’t just judge by the numbers; if Flowers stays over the top of Hilton, the Seahawks will be fine with any short gains Hilton may get on break-off routes in front of such preferred, step-kick technique coverage. That’s how Griffin won the right-cornerback job as a rookie this time last year, opposite the since-waived Sherman, by staying on top of long routes and defending those throws. What’s Flowers expect from his first NFL game Thursday? Thompson will be in the middle of the defense because Thomas will be in day 13 of his holdout over wanting a new contract.Thompson, the fourth-round pick from Colorado last year, spent his rookie season watching Thomas and playing special-teams. So this is his time – for now, anyway, until Thomas finally returns to the team. Thomas is nowhere near returning to team headquarters. He’s been at least 2,127 miles away from Renton, in fact. Thomas was spotted in Austin, Texas, on Wednesday watching his former University of Texas Longhorns practice. He continues to help Thompson from afar regularly. Thompson said they last talked last week about technique and playing free safety. On offense expect Germain Ifedi to again start at right tackle, as he did all last season while leading the NFL with 20 penalties. Carroll yanked Ifedi from Saturday’s mock-game tuneup for this Colts exhibition because of more penalties. Tuesday rookie fifth-round pick Jamarco Jones moved from being Brown’s backup at left tackle to the starting right tackle. Jones replaced Ifedi for a 2-minute-offense scrimmage. Any flags on Ifedi in Thursday’s game will further infuriate his coaches, if not get Jones into the game sooner than the rest of the reserves. Seattle’s starters are likely to play one or two series, if Carroll holds to his usual form. First-teamers who may see extended playing times for longer looks include Flowers, Dissly (though Nick Vannett may also start at tight end), Madden (rookie Khalid Hill went on injured reserve Tuesday, leaving Seattle with just two fullbacks on the 90-man roster). Aside from quarterback Russell Wilson, the 34-year-old Marshall, All-Pro middle linebacker Bobby Wagner and Pro Bowl linebacker K.J. Wright, there aren’t many Seahawks who will be treating this as the same-old Seahawks preseason opener. Published: Aug. 8, 2018, 3:38 p.m. Updated: Aug. 8, 2018, 7:17 p.m.